I have a reader, who first contacted me to ascertain whether the amount she requires to attain the status of Financial Security is correct. I have decided on buying the exchange traded funds (ETF) but I am not sure what’s the process of buying it and which one I should go for. I am thinking of putting one lump sum first before investing a fixed monthly sum. Can you advise me how I should go about doing it? I read some articles online but seem to be very complex and was confused. It seems I also have to sit through some kind of test as well? This seem to be a common question, judging that it seems to be repeated a lot in other discussion forum, so I thought I will try to address it today. How to go about setting up to buy and sell exchange traded funds (ETF)? Which ETF should she purchase? How should she start of building her ETF portfolio? Accumulating wealth through ETF is one of the most passive approach to building wealth. Compare to many others, which I find lean closer to active management then passive management. We do not know whether the future will be the same as the past, but the components that you use to form your portfolio can have a positive expected return. This is important because if you put in an asset A and historically at different rolling periods, the compounded average growth is negative, then why do we invest in something like that? Like all investments, there are always negatives. 1. How to go about setting up to buy and sell exchange traded funds (ETF)? It explains what is a brokerage account, what are stock exchanges and step by step how to go about purchasing and selling stocks, REITs, exchange traded funds. Let me share with you: The first step is always frightening, but after a while it should get better. She mentioned that there is some test that needs to be carried out. That would be the MAS Customer Knowledge Assessment. I have talked about that in the article as well. Basically, MAS would like to guard novice investors from gaining access to derivatives and sophisticated products. They are afraid that you will burn yourself. Unfortunately, buying ETF overseas, falls under this category. So the solution is for you to take and pass this test. Don’t worry, as long as you study the materials you should be able to pass. There is no fee for the quiz. To make you feel better, I failed a few times in the past as well. Which broker should you use? The thing about broker is that go for one that is relatively low cost yet provides a good sustainable platform. Most of the brokers are almost the same. If you are buying ETF from overseas, I suggest Standard Chartered Online Trading (SCB). It is the one that I use, there are no dividend handling charges, and custodian charges for holding your overseas stocks. The minimum is $10 for most currencies and commission at 0.25%. The downside for Standard Chartered is that if you are to purchase the ETF from London Stock Exchange and you need to convert the SGD to GBP, the rates of Standard Chartered is not fantastic. I am not sure if you can outright create a SCB account. They may ask whether you have make 6 transactions in another broker. You can make your initial Singapore ETF allocation through the local broker, before using SCB for your overseas ETF. 2. Which ETF should she purchase? This is a tough one because I have no idea about her appetite and goal. I suppose the goal is to build wealth, but with minimal effort. The usual component to build wealth is to do it with a stock/equity and bond/debt allocation. Stock/equity tends to be risky, but because it is risky, more volatile, you hope that the returns are high enough to compensate for it. To grow your wealth, you have to take some form of risk. Bond/debt tends to be lower return, less volatile. If you hold a basket of stocks in a ETF, there is diversification, and it guards against a group of stocks blowing up and for you to lose all your money. If you hold a basket of bonds in an ETF, there is diversification, and guard against a few bonds defaulting on their payments, and these bonds losing their value. Both stocks and bonds, in the past, have shown positive expected return. If they are not showing positive expected return, or having the potential to have positive expected return in the next 20 years, why would we invest in them? We combine stocks and bonds because one is higher return but more volatile, one is lower return and less volatile. When one performs well, the other might not perform well and vice versa. What you will get is that the overall volatility of your portfolio is reduced. Traditionally, when you see that you are losing money, or potentially going to lose money, you tend to do stupid things. Thus, if we can reduce the overall volatility of the portfolio, it guards us from doing stupid things to our portfolio. It is the time in the market that builds wealth. And to keep you in the market, lower volatility increases the probability that you will stick this out. Unless you understands this concept so well and you can live with volatility. In that case you can have a 100% equity allocation. Before we go into which ETF to buy, the table above shows some stats on various academic portfolios created by the thought leaders in the field. These could combine stocks, bonds, real estate, commodities, gold, cash and different asset class. They are measured against a 60/40 portfolio, which is a portfolio of 60% stocks and 40% bonds. The data is taken from 1973 to 2012. You will notice the compounded average growth rate (CAGR) is around 8.88% to 10.49% for the various portfolio. These are pretty good returns all round. Even the weakest, is enviable. Are we going to get something like that in the past? Might not be. What this shows us is that to a certain extend, different percentage of allocation to different assets in a portfolio might not bring outsize out performance over other strategies. If you observe MaxDD, which stands for the maximum draw down or the drop of your portfolio from peak downwards, they can be horrendous at-30%, -45% in the past. This is the negative volatility you have to contend with (if you get +30%, +45%, I don’t think you will complain). Notice that the PERM which stands for permanent portfolio, and Risk P which stands for Risk Parity portfolio have a MaxDD of -12.7% and -14% respectively. So which ETF to choose? Generally, if you wish for your ETF portfolio to be low effort, it is recommended to choose ETFs that are fundamentally sound, low cost, broadly diversified. This allows you to capture the majority of the market that you wish to cover. Around the world many folks advocate very simple lazy portfolios. Andrew Hallam was an international school teacher, who taught in Singapore. He wrote the book Millionaire Teacher, which I strongly recommend you read because it is simple, explains the personal finance and passive indexing portion of investing. Here is an article he has written in 2010. This was 8 years ago. So every half a year, or quarterly, or annual, you can contribute in equal percentage to this allocation. Joshua was born in Australia, but lived in Singapore for 5 years before he went over to USA to work. He worked for 10 years as a quantitative analyst and currency options trader. 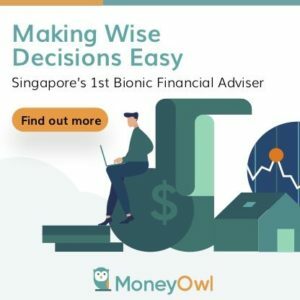 And he has been writing and helping new investors in HardwareZone Money Mind, sharing his thoughts on passive index investing for a long time. Given his background as a quant analyst and FX options trader, his ad-vocation of a simple passive index portfolio versus what he is good at is interesting. You can go find and read his 83 page book Rich by Retirement. (It includes much personal finance elements, debunking some other financial assets hearsay as well). This book is important because it is applicable for Singaporeans, whereas other books discuss more on the ETF and indexing aspect of building wealth but in the USA context. The change is slight but Joshua really like IWDA as it covers stocks in every developed market in the world, and the expense ratio is very low (0.20%). Also, it reinvests its dividends automatically instead of paying them out. 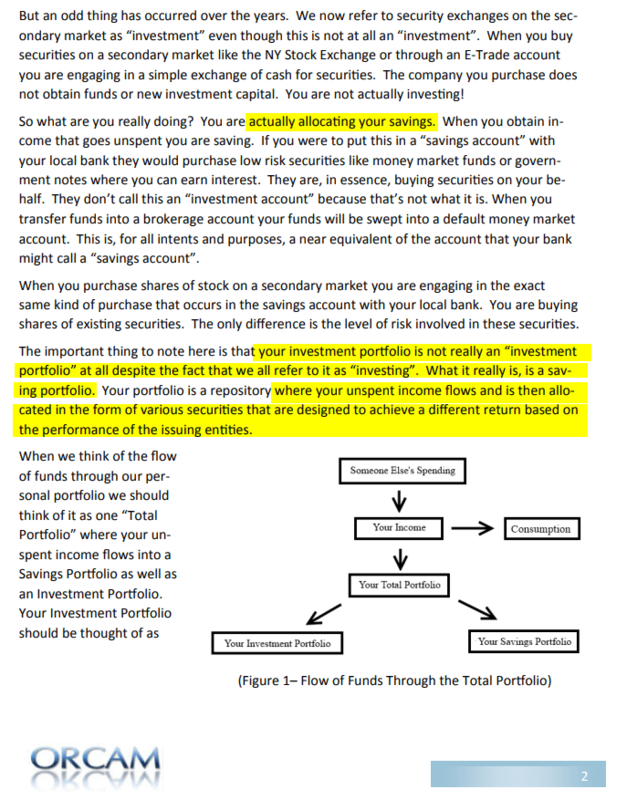 I have given you 2 examples but in truth there are a lot of resources on this so called Lazy Portfolio. The key is to read, and understand how these folks came up with these allocations, what is their motivations, the pros and cons. If you read more, you will see the benefits being repeated again and and again. 8 Different Lazy Portfolios listed down the lazy portfolio of a few renowned investors. 3. How should she start of building her ETF portfolio? This will depend on her capital. I would suggest to her to learn the ropes of investing by investing in only 1 ETF. This will allow her to be comfortable with the purchase and sale process of the broker. So if she has $10,000, she can contribute to the STI ETF (ES3) in 2 batches, and get comfortable with it. There is this pervasive idea in investing that you have to contribute an equal amount every time. In my opinion you do not need to. Suppose your ideal allocation is a 40% World Equity ETF, 40% Singapore Equity ETF, and 20% Singapore Bond ETF. You can contribute 100% of your lump sum to Singapore equity, or 50% to Singapore equity, 50% Singapore bond. Then you accumulate your cash until it becomes sizable and cost effect based on commission for you to invest again. So if you build up $6,000, you could then put them in the World Equity ETF. Be cognizant that your ideal allocation is 40/40/20 and whenever you have the capital try get to that stage. Once you have formed that 40/40/20 allocation, then perhaps you can invest in equal amounts. Do not be worried that your capital is too small to invest monthly. Just accumulate them so that you can invest half yearly, or annually. In the grand scheme of things, the performance difference of dollar cost averaging monthly versus annually is not going to be a lot. The key here is to invest in a cost effective manner. You won’t buy into what I said fully unless you understand investing in this kind of Wealth Machine fully. A lot of the times, you invest this way, because the thought leaders or experts say so. You have to figure out why this wealth machine make sense. Or doesn’t make sense. The way to build up your conviction, is to read enough on the subject. Don’t worry about missing out and wanting to invest fast. If you missed out on 1 year of 100% gains, its not going to matter much. It means that next year, you are going to average in and buy at a twice as expensive price. Your eventual goal might be $200,000 to $500,000. There are many free resources on the subject. You can read online. You can borrow books to read and build up competency. There are some blogs that I like to read up in these area. These are not strictly passive index investing blogs. However, these writers tackle the subject of equity and other asset classes over time, or they debunk recent market discussions through critical thinking. This helps a lot to help you stay the course on index investing a lot. The first person is Ben Carlson‘s blog A Wealth of Common Sense. This blog is his masters project (imagine what would happen if he didn’t decide to take his masters). He used to manage institution money and now works in Ritholtz Wealth Management. Ben’s articles are short, but very data focus, and is able to keep your attention. Nowadays he doesn’t write so much on the data stuff, because he wrote so much about it in the past (like 1 per day) that perhaps there are less things to write. You will get short articles talking about data like this. You will either be very convinced or get out of investing totally. The second person is Cullen Roche over at Pragmatic Capitalism. He is not an indexing guy but does countercyclical indexing with low cost funds as a way to make money with lower volatility. He is probably the one that re-frame the way I look at investment as a long term 20 year savings. If you look at it as a savings with a positive expected return, that is volatile before maturity, your conviction level might change a fair bit. Not just that, the good thing about Cullen is his content is short, to the point, but makes you understand the world better. If Your Money is Important Enough to You…. To the best of my abilities, I will answer as much as I can about this topic. Why do I do this? Because I think it is the most fundamentally sound way, yet low effort way to invest for the average folks. And I been trying to find such a method for some time. It is still a little complex. You will still get questions about the markets, fear, uncertainty, losing money, re-balancing. The reality is that you can read these up, get equipped and work through them better than active stock investing. Do not worry about missing out on a 50% gain in 1 year, losing to inflation. Spend 1 year learning about it. If you do not know what you are putting your money into, it is NOT a wealth machine. You are a mere speculator. To build conviction, know what you are doing. Oh, this is a great post. One of my readers was asking how should he start investing in ETFs (he wants 80-20 equity bond split becaues he is young and has a high risk appetitte), and I realised I should refer him to your post. I’ve always wondered, do you invest primarily through ETFs, or do you stock pick? Personally I pick for the Singapore market (because I don’t like the REIT ETFs, and not a huge fan of the STI), but for US/global markets I usually just ETF and buy one or two stocks I really like. Great post! You summarized almost all of what i would advise to my friends who are not prepared to invest the time required for active investing. I also recommend standard chartered at the moment. Well done and keep these great posts coming!